Out of the seemingly infinite adjectives to describe politics in 2016, the one that came to mind is exhausting. This year featured enough twists, turns, surprises, setbacks, revelations, triumphs and defeats to fill a set of encyclopedias. From competitive presidential and statewide primaries to epic general election battles, 2016 will clearly be remembered as a watershed year in the Show Me State's political history. 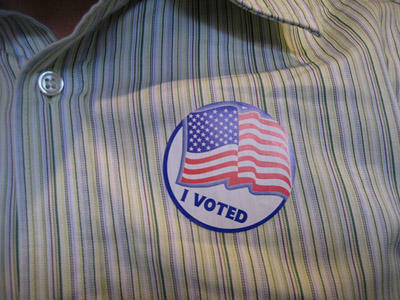 Voter registration deadlines are approaching for area residents hoping to cast a ballot in their presidential primaries. Official registration closes on today in Illinois, and on Wednesday in Missouri. This article first appeared in the St. Louis Beacon: If you are looking for polling numbers to help predict Tuesday's Democratic Primary in Pennsylvania, you won't have to go far. According to pollster.com's tabulation, there have been 26 statewide surveys of likely voters released since the beginning of April.